WCJA hosts a variety of events to celebrate Jewish holidays and help facilitate the growth of a strong Jewish community on campus. Below are some events WCJA has hosted in the past. All holiday celebrations are hosted annually, but the specific celebration may vary slightly at the discretion of the WCJA board and Jewish Chaplain. Explore our religious holiday celebrations and social and academic events using the tabs to the right. *Note: The Google Calendar is added to and edited as the school year progresses. It does not represent a complete list of all events that will be held. 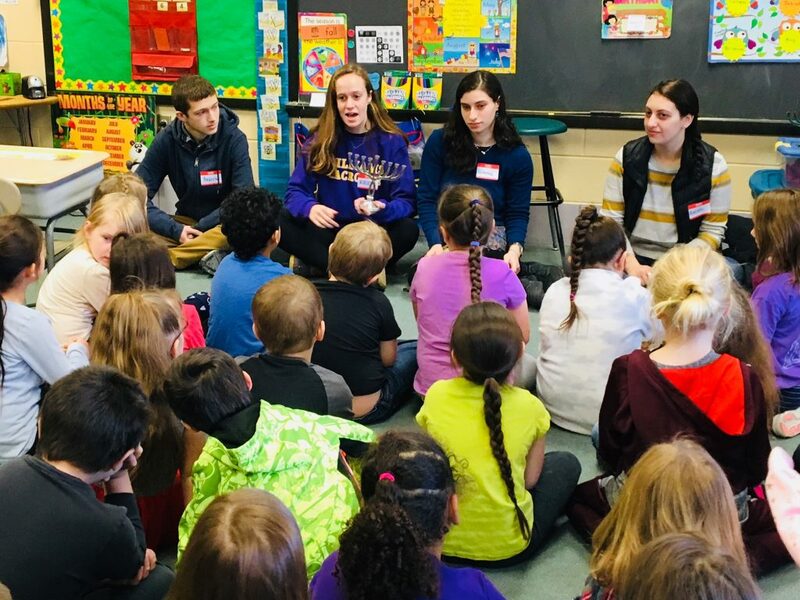 WCJA board members take part in the annual tradition of visiting local elementary schools to talk about Hanukkah. Each year, we give each first grade student a book and a dreidel, and teach them how to play after reading them a Hanukkah story. Happy Spring Break! Shabbat dinner tonight will be small with just deli meat and dairy free ice cream for dessert.